SchoolKeep is a modern training software that enables brands to create and deliver online courses. 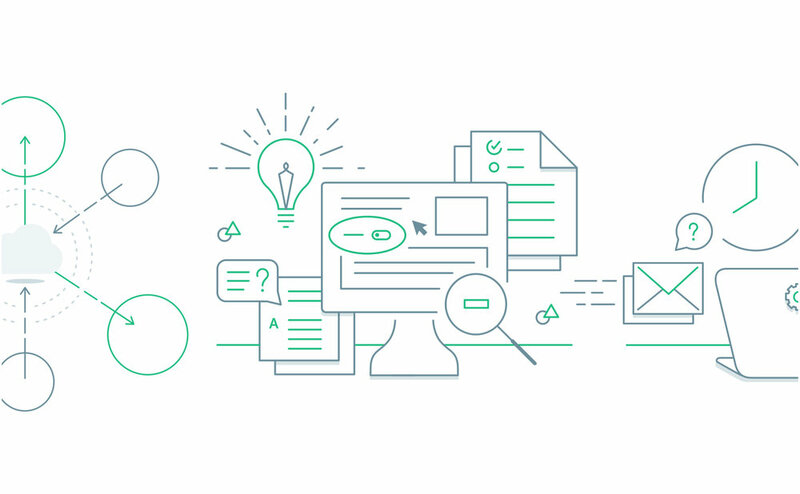 Both large and small-scale companies rely on SchoolKeep’s Learning Management System to train their teams for best practices and to improve business outcomes. While partnering with the product and marketing teams at SchoolKeep, I was tasked to create an online presence to elevate their mission, showcase the information and product offerings made for teams to succeed, and to help enable managers to create and deliver best-in-class training programs. This re-designed marketing website aligned with SchoolKeep’s business objectives, expressed the brand through a new design language which was bright and welcoming, and effectively showcased the distinct product features with strategic opportunities for prospects to convert into clients. Additionally, I led the design for the internal brand called Simply Sourced which was used on the website and in the product demo. From working closely with the Design Director and Product Marketing Manager on rich content strategy, messaging for sales and marketing efforts, and approach on the widespread re-design, there was constant open dialogue throughout this initiative. Wireframes and visual design concepts were key in presenting to all stakeholders who were deeply involved in the launch, including the CEO. 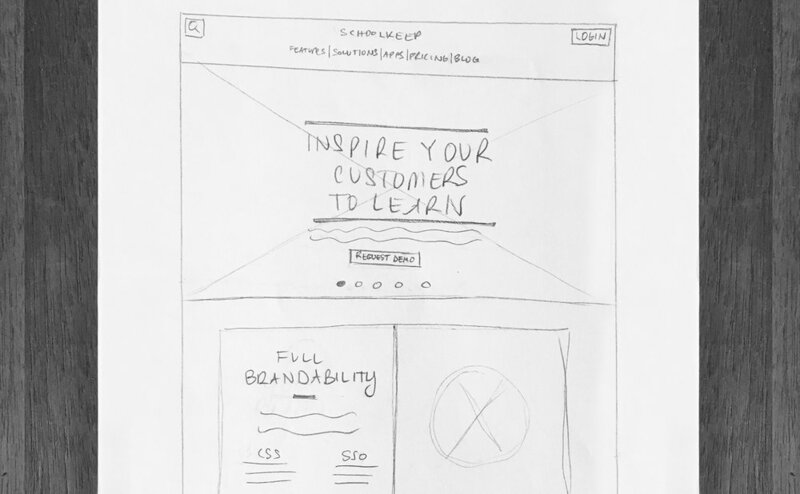 1-by-1, each page of the website began taking familiar shape with established patterns, styles, tone, and signature illustrations. 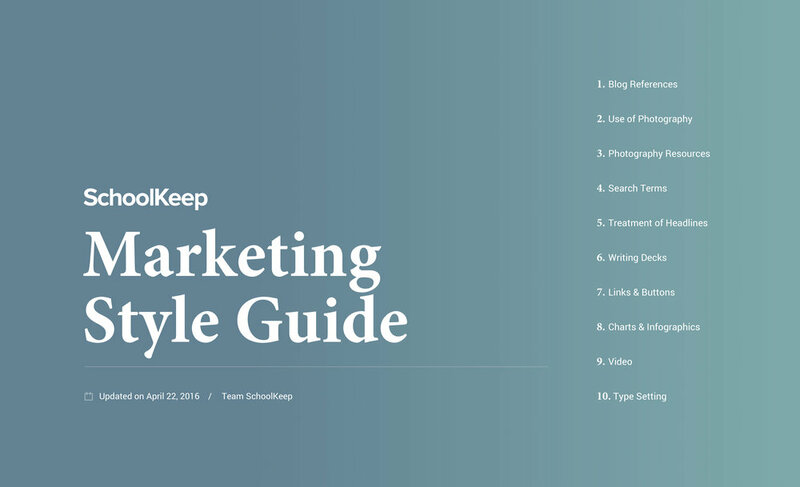 This initiative included a deep-dive into a marketing style guide which covered everything from photography selection, messaging and tone, to our established UI patterns. This was created to ensure greater consistently across a variety of teams, serve as a resource for new team members, as well as formalize the brand’s personality and distinctions that had resulted from many months of strategy and execution of the website re-design. Simply Sourced, a farm-to-groceries brand, was internally created to help illustrate the power of SchoolKeep’s training platform. I led the design on this initiative by creating a custom logo, icon set, and assets that were used on the marketing website and in the product demo.